For seven years, from the moment Julian Assange sought refuge in the Ecuadorean embassy in London, they have been telling us we were wrong, that we were paranoid conspiracy theorists. We were told there was no real threat of Assange’s extradition to the United States, that it was all in our fevered imaginations. The media and political courtiers endlessly emphasized Assange’s bail violation in the U.K., ignoring the fact that asylum seekers fleeing legal and political persecution don’t usually honor bail conditions imposed by the very state authorities from which they are seeking asylum. The political and media establishment ignored the mounting evidence of a secret grand jury in Virginia formulating charges against Assange, and ridiculed Wikileaks’ concerns that the Swedish case might be cover for a more sinister attempt by the U.S. to extradite Assange and lock him away in a high-security prison, as had happened to whistleblower Chelsea Manning. They belittled the 2016 verdict of a panel of United Nations legal scholars that the U.K. was “arbitrarily detaining” Assange. The media were more interested in the welfare of his cat. They ignored the fact that after Ecuador changed presidents – with the new one keen to win favor with Washington – Assange was placed under more and more severe forms of solitary confinement. He was denied access to visitors and basic means of communications, violating both his asylum status and his human rights, and threatening his mental and physical wellbeing. They turned a blind eye to the news that, after refusing to question Assange in the U.K., Swedish prosecutors had decided to quietly drop the case against him in 2015. Sweden had kept the decision under wraps for more than two years. Most of the other documents relating to these conversations were unavailable. They had been destroyed by the U.K.’s Crown Prosecution Service in violation of protocol. But no one in the political and media establishment cared, of course. And possibly most egregiously of all, most of the media refused to acknowledge that Assange was a journalist and publisher, even though by failing to do so they exposed themselves to the future use of the same draconian sanctions should they or their publications ever need to be silenced. They signed off on the right of the U.S. authorities to seize any foreign journalist, anywhere in the world, and lock him or her out of sight. They opened the door to a new, special form of rendition for journalists. This was never about Sweden or bail violations, or even about the discredited Russia-gate narrative, as anyone who was paying the vaguest attention should have been able to work out. It was about the U.S. Deep State doing everything in its power to crush WikiLeaks and make an example of its founder. It was about making sure there would never again be a leak like that of “Collateral Murder,” the military video released by Wikileaks in 2007 that showed U.S. soldiers celebrating as they murdered Iraqi civilians. It was about making sure there would never again be a dump of U.S. diplomatic cables, like those released in 2010 that revealed the secret machinations of the U.S. empire to dominate the planet whatever the cost in human rights violations. Now the pretense is over. The British police invaded the diplomatic territory of Ecuador – invited in by Ecuador after it tore up Assange’s asylum status – to smuggle him off to jail. Two vassal states cooperating to do the bidding of the U.S. empire. The arrest was not to help two women in Sweden or to enforce a minor bail infraction. No, the British authorities were acting on an extradition warrant from the U.S. And the charges the U.S. authorities have concocted relate to Wikileaks’ earliest work exposing the U.S. military’s war crimes in Iraq – the stuff that we all once agreed was in the public interest, that British and U.S. media clamored to publish themselves. And that is because these journalists, politicians and experts never really believed anything they said. They knew all along that the U.S. wanted to silence Assange and to crush Wikileaks. They knew that all along and they didn’t care. In fact, they happily conspired in paving the way for today’s kidnapping of Assange. 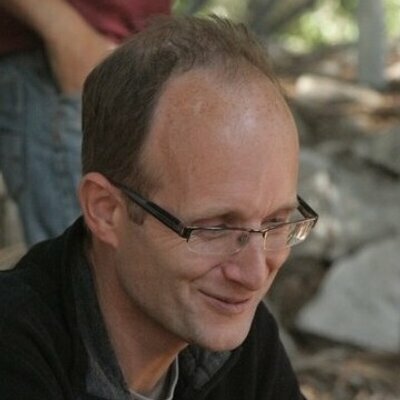 Jonathan Cook is a freelance journalist based in Nazareth. He blogs at https://www.jonathan-cook.net/blog/.